This past weekend I was able to get away to one of my favourite B.C. spots: Whistler Village. It isn’t exactly a well-kept secret that Whistler is one of the premiere ski/snowboard resorts in the world, especially with the recent 2010 Winter Olympics beaming its beautiful slopes into TV sets around the globe. However, the majority of my visits (too many to count!) have been in the off-season to enjoy the beautiful hiking and quieter village haunts. Well… it used to be off-season. Now summertime in Whistler has also become a mountain biking mecca with festivals like Crankworx taking over the lifts for a variety of extreme competitions. 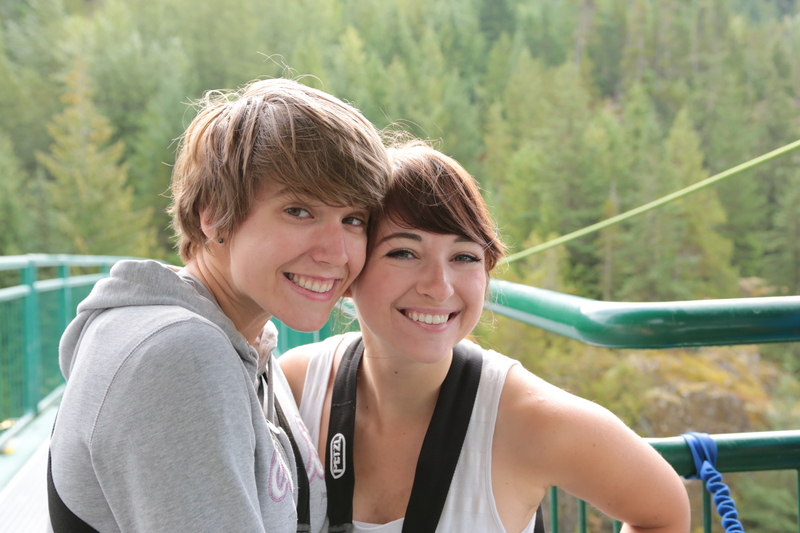 So, in order to avoid the frenzy, my sister-in-law and I decided to try something extreme of our own: Bungee Jumping! Being a total adrenaline junkie, bungee jumping had been on my bucket list for quite some time and was one of the last extreme activities that I had not tried. 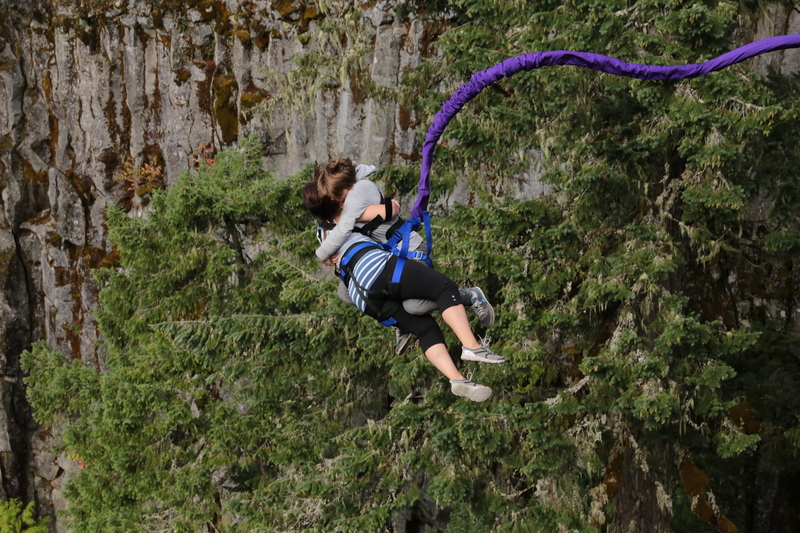 We opted to jump tandem to give us something to hold onto and also someone with whom to share the experience. We leapt (got pushed) off a bridge 160ft over the glacial fed Cheakamus River. It was scary but not as scary as we thought it would be. 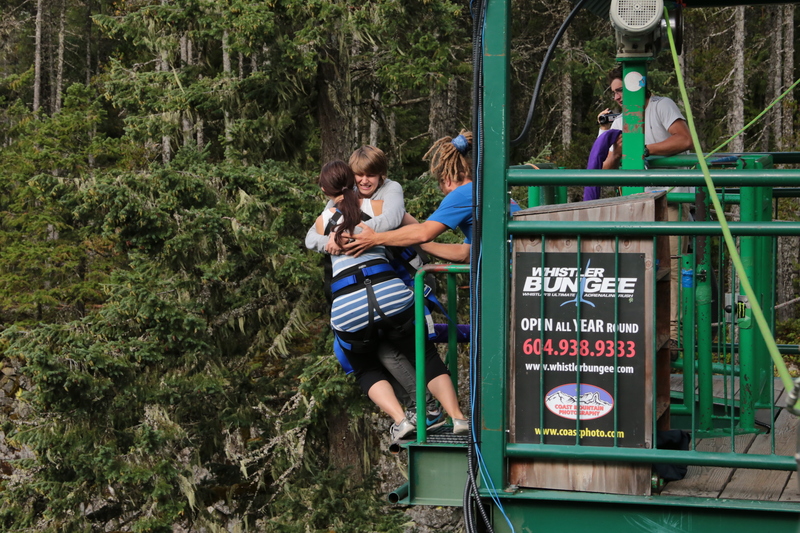 Assured by Whistler Bungee’s perfect safety record and comforted by the instructors’ joking demeanors, we only sort of questioned our mental health. After it all was said and done… I would do it again in a heartbeat. 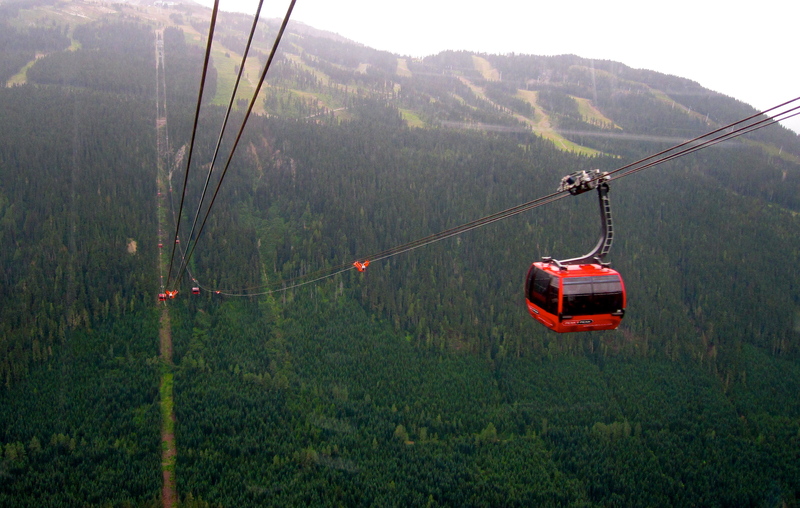 We also enjoyed some tamer activities such as riding the famous Peak 2 Peak gondola, which holds the world record for the longest free span between ropeway towers at 3km, and walking the popular Lost Lake loop. But, nothing can really compare to the exhilarating rush of bungee jumping. 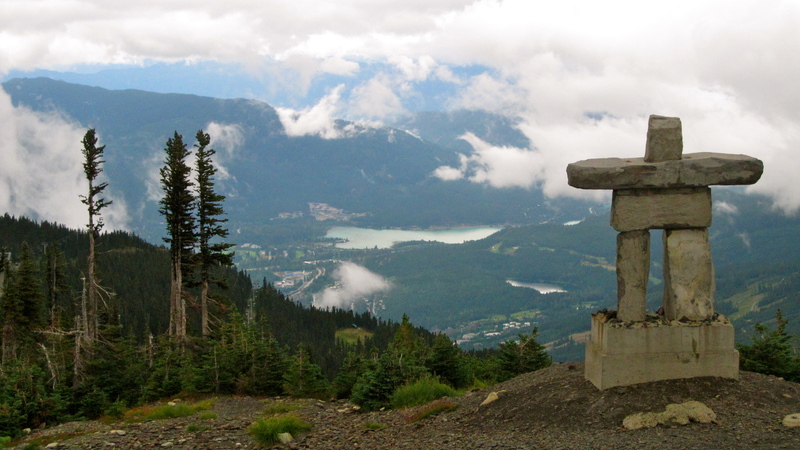 It’s nice to know that after nearly 20 years of visiting Whistler, it still has new adventures to offer. 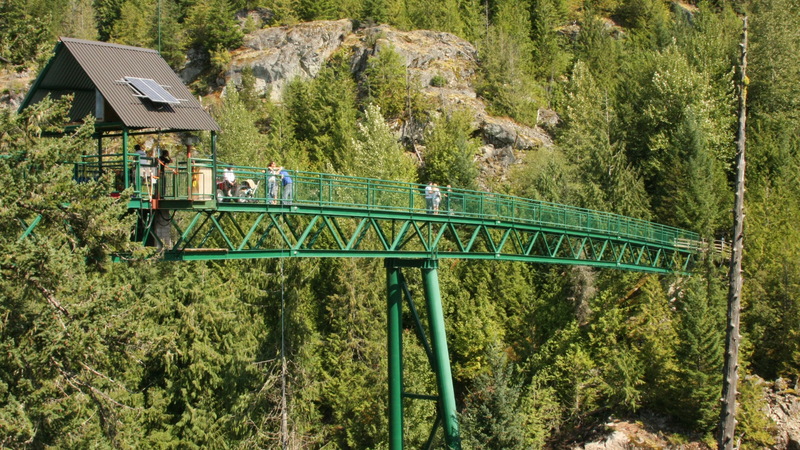 Next time… I hope to try out the Whistler Aerial Adventure Course. You only live once right? This entry was posted in British Columbia, Canada, North America, Uncategorized and tagged 2010 Winter Olympics, B.C., bungee jumping, Cheakamus River, Crankworx, Extreme, Gonola, Lost Lake, Peak 2 Peak, Ski, snowboard, Whistler, Whistler Bungee. Bookmark the permalink.